to help you find info about historic buildings. selected daily papers, radio, TV. ZEDHIA is an interactive online data base available for access to the public and permitting comprehensive historic research; various subscription models are available. The platform makes digitalized full text and in depth structured information resources available on the history of Central Europe's business and economy as well as on Central European genealogy. In addition, the 28.362 volumes and 1.3 million pages of the publications comprised in ZEDHIA register the history of Austrian business from 1812 through 2003. Online access to church registers (mostly books of birth, marriage and death) from various European countries (currently Austria, Germany, Poland and Serbia). by the Österreichische Nationalbibliothek (Austrian National Library) including online search of historical newspapers (1689-1946). details about some 2600 castles and historic buildings in Lower Austria (Niederösterreich). The "Wiener Adressverzeichnis Lehmann" is now available online (in German). Some 200.000 pages list only proprietors and tenants, but not subtenants. An online archive of medieval charters (till 1500) and a representative collection of documents of the following centuries from many sources including the following monasteries: Aggsbach, Altenburg, Ardagger, Dürnstein, Gaming, Geras, Göttweig, Heiligenkreuz, Herzogenburg, Klosterneuburg, Lilienfeld, Mariazell in Österreich, Mauerbach, Melk, Neukloster, Pernegg, Säusenstein, Schottenstift, Seitenstetten, St. Andrä, St. Dorothea, St. Pölten and Zwettl. Information about the genealogical society and its library in German but very little content or research guidance. A general-purpose metropolitan museum with a wide range of collections and exhibitions – from the history of the city to art, fashion and modern culture, from the earliest settlements to the present day. If you are interested in Vienna, this is the place to pick up its traces. a commercial heraldry, calligraphy and genealogy service in Vorarlberg (in German). with information about its exhibitions and archives. with information about the library and archive. very interesting ennumerations and census information. Some interactive queries are possible but offline analysis requires installion of Kleio, special DB program developed at the Max-Planck Institute for History in Göttingen. Thanks to Ludwig Blaha for finding this link. an Austrian society for genealogy and history, located in Vienna. 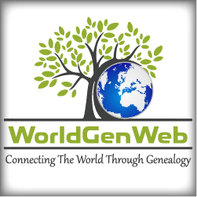 an excellent site by Kent Stuetz that provides a helpful source of information and tools to assist you to conduct successful Austrian genealogical research. Also information about the "Southern Waldviertel Family History Project"
founded Ing. Felix Gundacker, these free databases containing more than 10 million records are made by and for genealogists (more than registered 25,500 users). is a company (established 1989 by Ing. Felix Gundacker) that can undertake to do your research for a fee. is a group of genealogists performing various research projects relating to the province of Burgenland. Excellent free monthly newsletters. As the central academic library of the Republic of Austria, the Austrian National Library (ANL) looks back over a history rich in tradition going as far as the 14th century. with essential information for researchers. provides a very comprehensive index. including the AEIOU-Lexikon, an encyclopedia of Austrian culture and heritage with a search facility. Tracing Your Ancestors in Vienna. provides some useful information about Austria today. is an online archive, operated in local entities. It is an regional historical source of reference, focusing on not only preserving historical material kept in private hands but making it visible to the public.